You are near the end of your tenancy and you want a safe return of your deposit? Or you may be a landlord who needs property improvement? In both cases, you can call us right now! 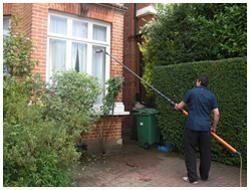 We provide affordable end of tenancy cleaning in London! It is the foremost provider of professional cleaning and home upkeep in your city for more than a decade. If you live in London, Greater London or anywhere in South East England, you can book for these top-notch services. Discover More! Choose Our End of Tenancy Cleaners in London! In addition to our main services, we offer removal procedures as well. You can choose from complete removal to man and van services. You can depend on us for all aspects of the removal process. We are at your service from the moment of packing your belongings to the actual move-in. We can also provide all packing materials for you. You can be sure we will handle all your possessions with great care. You will receive services provided by a experts. 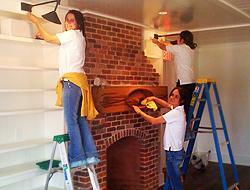 Our team members are specialists with many years of experience behind their backs. They are well-trained, vetted and insured. Affordability. We offer the cheapest prices. You will receive fantastic services at lower rates. Flexible booking options - you can count on us at any time, even on weekends and evenings. Timely services. We will visit you no matter how far from Charing Cross your place of residence is. Our vans come equipped with GPRS so we can easily find you. Special discounts. Book more than one service for further savings! Book an Appointment – Our Benefits Await You! Call 020 3404 5155 now! Our hotline is constantly operational. Our friendly customer care staff are ready to serve you 24/7. You will have all your questions regarding end of tenancy cleaning answered. Moreover, you will get a free quote. As an alternative, you can book your cleaning online.